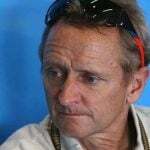 Wayne Rainey’s MotoAmerica series enters its second year of operation in 2016. 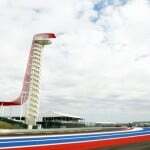 Things get underway at COTA during the MotoGP weekend of April 8-10, with Road Atlanta the very next weekend, April 15-17. Tickets went on sale today for the Road Atlanta round. Show your support of MotoAmerica and Wayne Rainey by attending these races or the MotoAmerica race in your area. 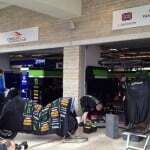 Let’s get US motorcycle road racing back to being one the premiere series in the world. Check out the press release below, then follow the link to purchase tickets to the Road Atlanta event. Press Release from MotoAmerica: There wasn’t a single round of the MotoAmerica Series that had more impact on the outcome of the 2015 Superbike Championship than the Road Atlanta round. Held in soaking wet conditions, there were costly crashes by some of the stars of the series and the first doubleheader sweep of Cameron Beaubier’s Superbike career – two wins that at least in part propelled him to the title. So what role will round two of the nine-round (18 races) 2016 MotoAmerica AMA/FIM North American Road Race Series play? We will find out, April 15-17, when the series returns to Road Atlanta in Braselton, Georgia, for a full complement of MotoAmerica racing. 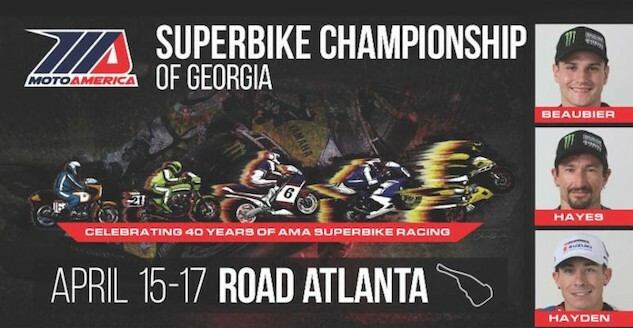 As an added bonus, the best riders and teams from Superstock 600, Supersport, Superstock 1000 and Superbike will be joined this year by the spec-class KTM RC Cup for the first time at Road Atlanta. Last year, the KTM RC Cup, for up and coming riders aged 14-22, didn’t start until round four at Road America, but Road Atlanta will mark the opening round of the series for 2016. Perhaps the best bargain for 2016 is the Cycle Corral ticket package – a three-day Super Ticket that includes paddock access, three-day reserved motorcycle parking, the opportunity to participate in the exclusive Motorcycle Parade Lap and an exclusive track walk with a team and/or rider. The cost of the Cycle Corral package is $99 and are available in advance only. They will not be available at the gate. Other ticket options include: Military Discount; Super Tickets (one day, two day, three day), Camping, free General Motorcycle parking; and kids 12 and under are free with an accompanying ticketed adult). Tickets start at just $20.